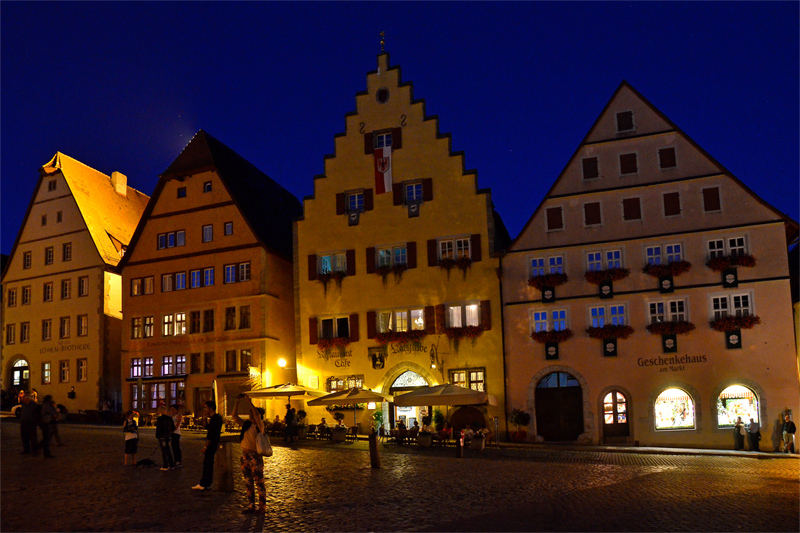 Rothenburg o.T., longed-for destination of many tourists visiting Germany. 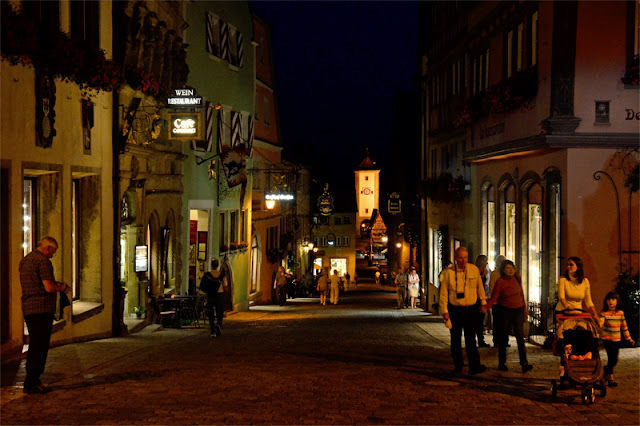 Last Thursday my sweetheart and I made an evening stroll through "Germany's Disneyland" Rothenburg, which is not more than 30 minutes away from our hometown. We started our evening walk at the entrance of the castle garden / Burggarten, at Roeder's gate / Rödertor. 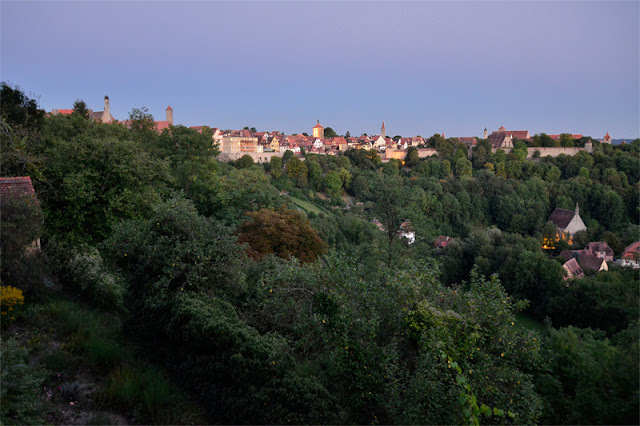 Our next shooting spot was at the town wall of the castle's garden where you have a phantastic panorama view to Rothenburgs southern part of the old town with the Kobolzeller's Gate / Kobolzellertor in the middle. View along street "Herrngasse" towards Roeder's Gate. Mintues later we approached at the market place right in the center of the medieval town center. On the east side you find this ensemble of old merchants' houses. 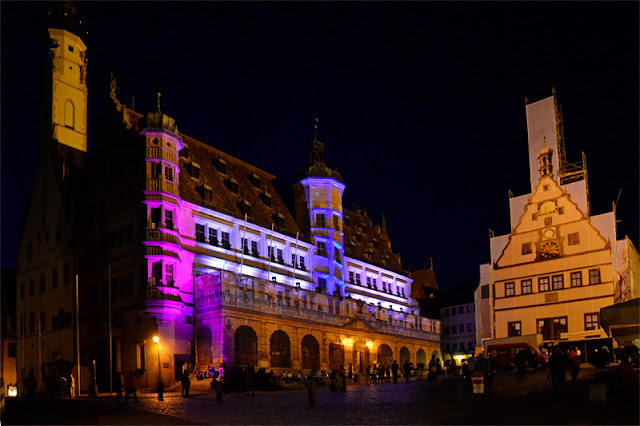 ...which was illuminated this evening because of the Imperial City Days the following weekend. Sieber's Tower and Plönlein at the end of the street "Untere Schmiedgasse". 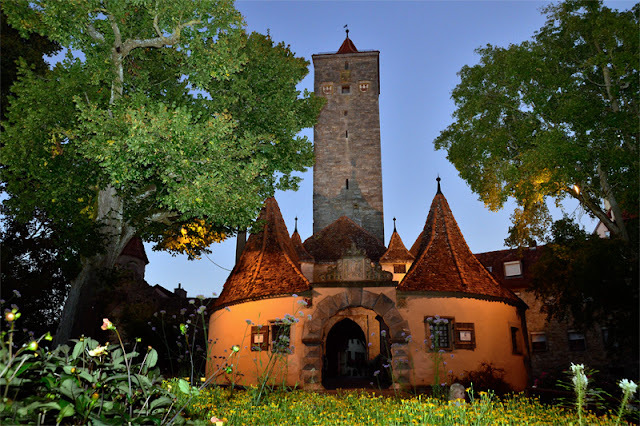 Mark's tower / the Markusturm is one of my favourite destinations in Rothenburg. I like the very nice bookstore in its vicinity, where I stood to take the photo. Beautiful photos and buildings. That place looks very much like old town of Tallin in Estonia. 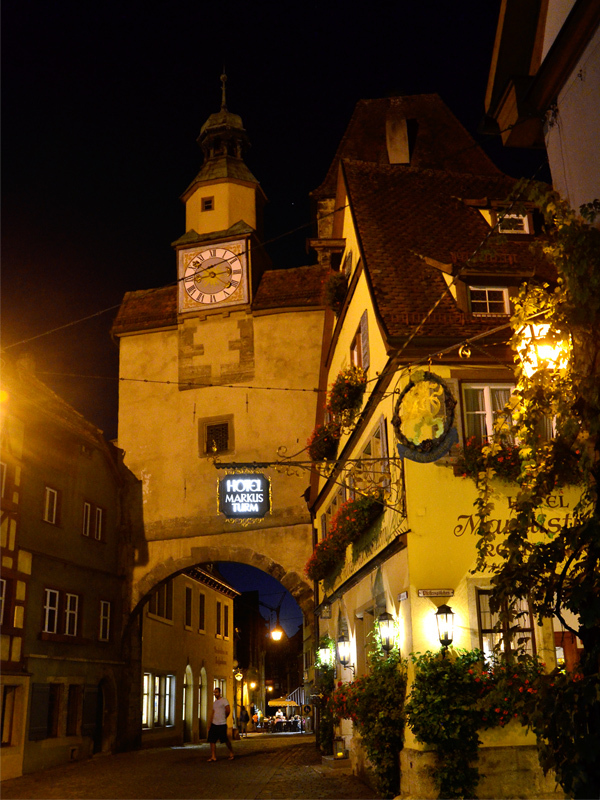 I had the great pleasure of visiting Rothenburg during winter, the city is one of the cutest in Germany and I loved every inch of it. 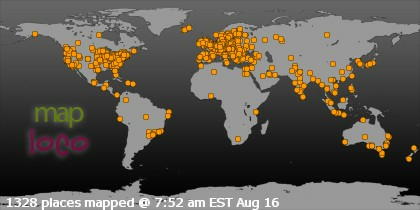 Fantastic pictures you have made, I wish I had the same talent/equipment as you have! I was astonished, really! Keep strolling around beautiful German cities with your Schatz and taking these lovely pictures my friend! Hello, Uwe! 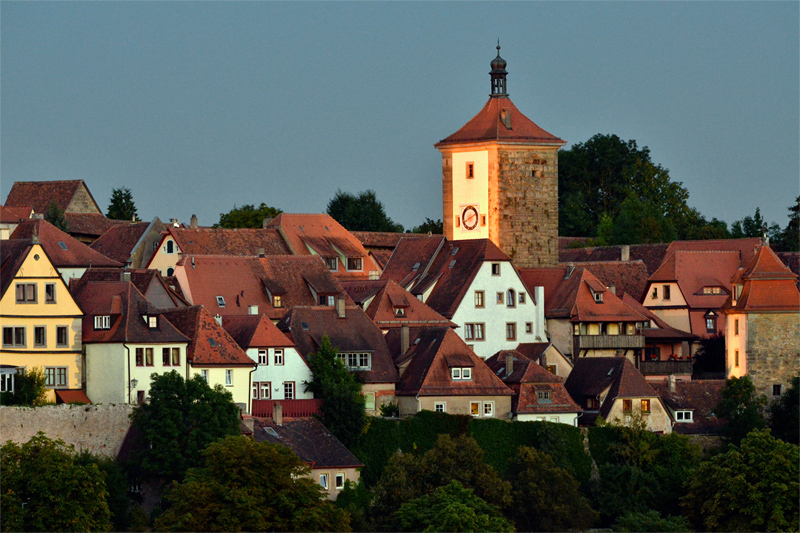 Rothenberg is one of the most charming towns I’ve ever been to. I strolled around the same places in these photos and stayed one night with my daughter in autumn about a decade ago. 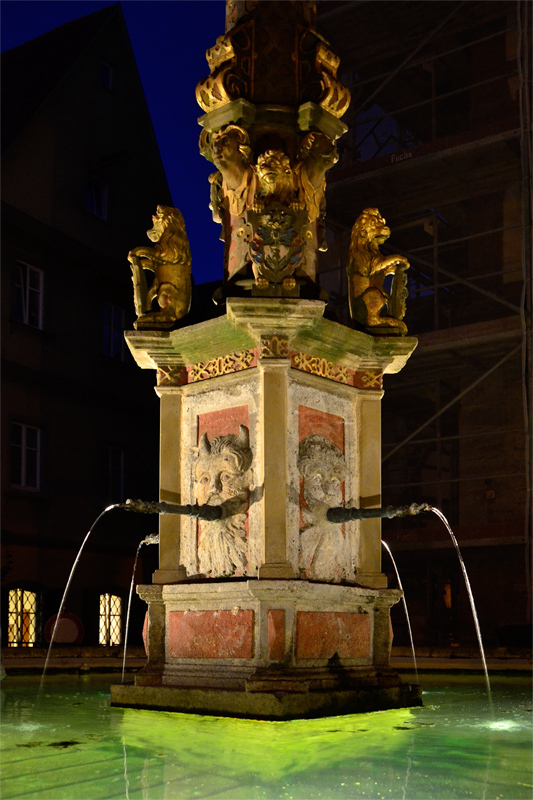 I have some nice pictures taken with non-digital SLR, but not the night shots. Your night shots are too superb! Thank you for this trip down in my memory lane. Have happy days ahead. It is very fairy tale like! Oh, how enchanting! Your night shots are so lovely! I was able to visit once and loved this place. We walked around the wall, then got lost in the city (but not for long). Thank you for sharing your beautiful photos! 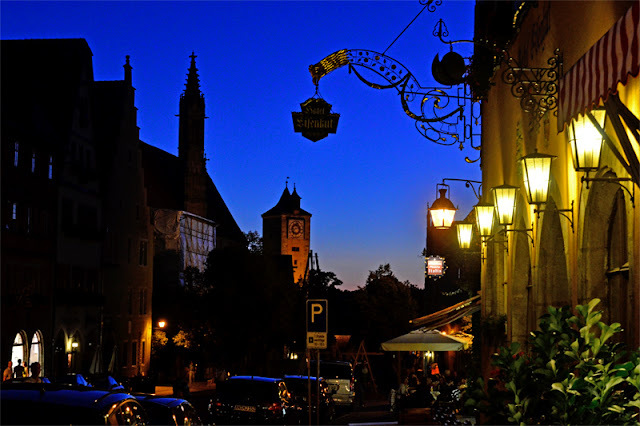 Charming Rothenburg! I visited about 10 years ago and love this beautiful walled city! We went to the torture museum there, which sounds odd, but it was fascinating. My favorite part was the old wall. Thank you for these lovely photos!